He has been called “a national treasure” by George Saunders. Doctorow’s great topic, said Don DeLillo, is “the reach of American possibility, in which plain lives take on the cadences of history.” This power is apparent everywhere in these stories: the bravery and self-delusion of people seeking the American dream; the geniuses, mystics, and charlatans who offer people false hope, or an actual glimpse of greatness. In “A House on the Plains,” a mother has a plan for financial independence, which may include murder. In “Walter John Harmon,” a man starts a cult using subterfuge and seduction. “Jolene: A Life” follows a teenager who escapes her home for Hollywood on a perilous quest for success. “Heist,” the account of an Episcopal priest coping with a crisis of faith, was expanded into the bestseller City of God. “The Water Works,” about the underbelly of 1870s New York, grew into a brilliant novel. “Liner Notes: The Songs of Billy Bathgate” is a corollary to the renowned novel and includes Doctorow’s revisions. 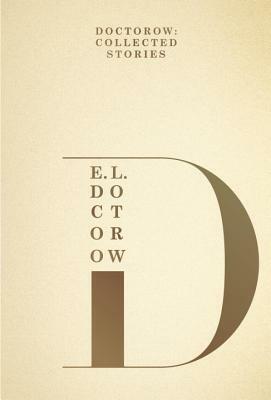 These fifteen stories, written from the 1960s to the early twenty-first century, and selected, revised, and placed in order by the author himself shortly before he died in 2015, are a testament to the genius of E. L. Doctorow. E. L. Doctorow’s works of fiction include Andrew’s Brain, Homer & Langley, The March, Billy Bathgate, Ragtime, The Book of Daniel, City of God, Welcome to Hard Times, Loon Lake, World’s Fair, The Waterworks, and All the Time in the World. Among his honors are the National Book Award, three National Book Critics Circle awards, two PEN/Faulkner awards, and the presidentially conferred National Humanities Medal. In 2009 he was shortlisted for the Man Booker International Prize, honoring a writer’s lifetime achievement in fiction, and in 2012 he was inducted into the New York State Writers Hall of Fame and won the PEN/Saul Bellow Award for Achievement in American Fiction, which is given to an author whose “scale of achievement over a sustained career [places] him in the highest rank of American literature.” In 2013 he received the Gold Medal for Fiction from the American Academy of Arts and Letters and the Medal for Distinguished Contribution to American Letters from the National Book Foundation. Doctorow died in 2015.